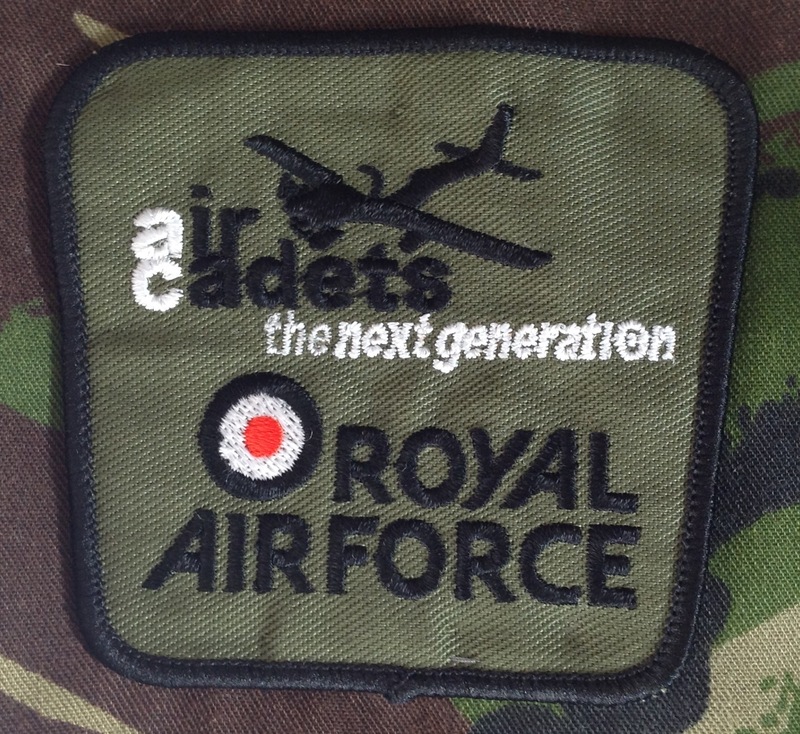 Hundreds of school boys between 16 and 18 who have joined the Air Training Corps will have their first training this week. Each boy has to give up four hours a week to ATC work and, as many are working, classes and drills are to be held at weekends and in the evenings. 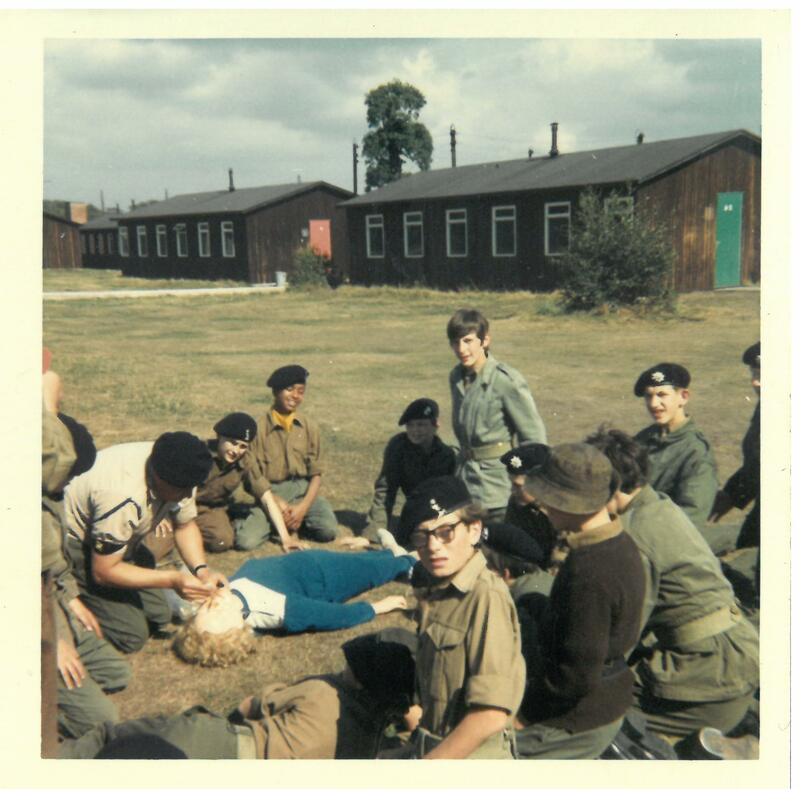 Some London boroughs including St Marylebone, began training last Saturday, the day the corps came officially into existence. Squadron Leader A.H. Waite, head of the St Marylebone A.T.C. told me: “We met on Saturday and there were enough boys already enrolled to form four flights. “The boys took drill and classes in electricity, the internal combustion engine, and map reading. On Wednesday evening we are going to a local rifle range for practice. 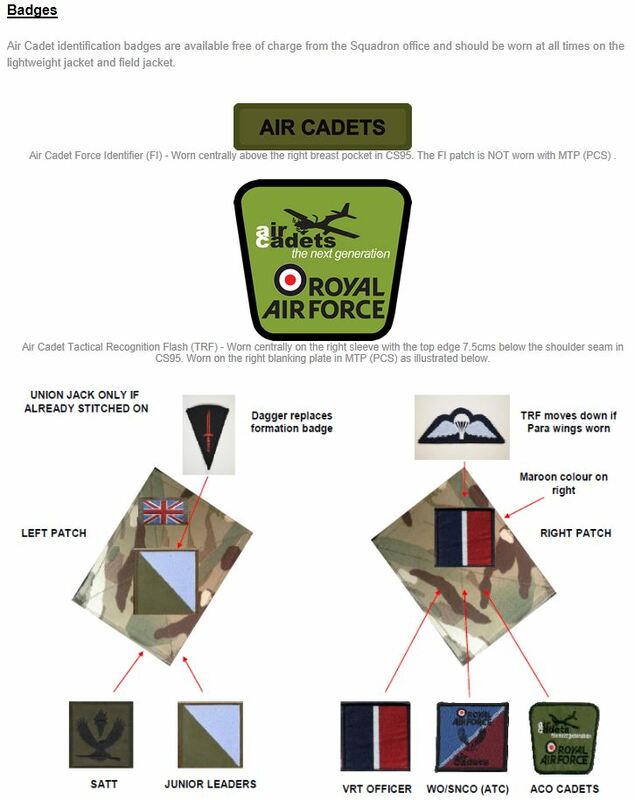 This entry was posted in Badge, OTC and Cadets, Royal Air Force, WW2 on February 14, 2018 by hatchfive. Tonight we have a delightful little fork, dating back to the Victorian era: This fork has a large naval crest engraved into the end of the handle: This has the angular crown of Queen Victoria and the letters ‘TS’ around an anchor. 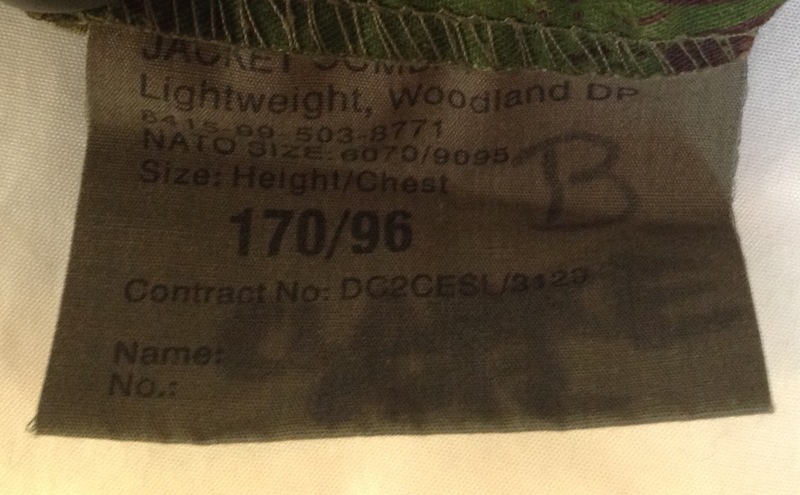 Note also the small /|\ mark indicating military ownership. Unusually this is stamped into the front of the handle rather than the rear. The fork itself is made of Electro Plated Nickel Silver (EPNS) as indicated by the initials on the back: Quite what the ‘TS’ stands for is unclear, but the most likely explanation is that it indicates the fork came from a ‘Training Ship’. Due to the quality of the engraving I would imagine that this fork was used by the officers instructing on the ship, rather than by the cadets themselves. Training ships were old warships that were used to train cadets and boy sailors in basic seamanship skills needed before sending them out to join the fleet. Two types of training ship were used, some were still operational ships and would go to sea to provide practical training in real life conditions. Others were older ships that were permanently moored in harbours and acted as floating classrooms, often extremely old sailing ships were used for this purpose. The Royal Navy’s own first training ship was HMS Implacable at Plymouth in 1855 followed by HMS Illustrious at Portsmouth. They aimed to give a training in naval life, skills, and discipline to teenage boys (or ‘lads’ as they invariably called) and, of course, provide a ready source of recruits for Her Majesty’s ships. Boys typically joined the ships at the age of eleven or twelve and stayed until they were fifteen or sixteen. Discipline aboard the ships was strict and the birch often used to enforce it. Food was limited in quantity and variety — biscuit, potatoes, and meat were the staples, with occasional green vegetables. Many of the new boys could not swim and needed to be taught — unfortunately some drowned before they mastered the skill! Sleeping accommodation was usually in hammocks, which could be comfortable in the summer but icy-cold in winter. As well as learning nautical skills, boys on training ships were often taught other useful crafts such as tailoring, shoemaking or carpentry. The Poor Law authorities, who directly and indirectly encourage and support a training ship like the Exmouth are performing a great national service. The question which next arises is whether from the point of view of the boys themselves the Guardians are not doing the best that can be done for them in sending them to the Exmouth. In the first place the life is a healthy one for the boys, their physical development is carefully attended to, their education from an intellectual point of view is adequate, and they receive at the age at which they can most readily profit by it that technical training which at any rate as far as the sea is concerned, can only be properly acquired at an early age. More than all, the so-called stigma of pauperism is removed, and the boys are sent out into the world with a profession of national utility and under the aegis of the name of their training ship, and, when the training ship has an established position, it is an enormous advantage to a boy in after-life, to be able to claim association with it. The advantages of the Navy as a career can hardly be over-estimated. Quite apart from the great traditions of the service and the universal respect which the uniform inspires, there is the substantial fact that a boy who goes from the Exmouth into a naval training ship can at the age of 40 secure a pension of over £50 for life. What is more, there are few, if any, recorded instances of a blue-jacket receiving relief from the poor law. In the Merchant Service the career is not quite so satisfactory, but a boy once launched into any of the first-class lines has only to do his work well and his worldly success is assured. This entry was posted in equipment, OTC and Cadets, Pre WW1, Royal Navy on December 16, 2017 by hatchfive. Now that the importance of cadet training is being more fully recognised, the lack of co-ordination and organisation should be remedied without delay. Owing to the large numbers of youths being called up the ranks of cadet units are greatly depleted, with the result that quite small boys will predominate in the future. 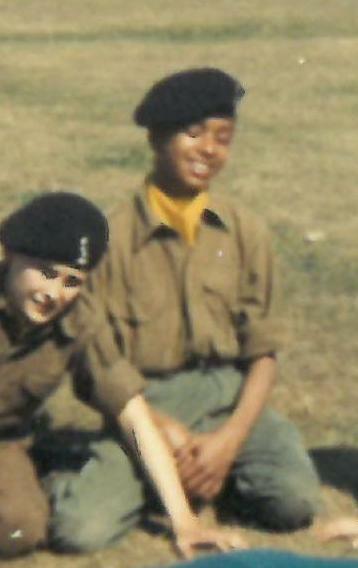 Clearly this never happened, and even today cadets wear more or less the same uniform as the adult forces. This entry was posted in OTC and Cadets, postcard, WW1 on December 10, 2017 by hatchfive. A few years back we looked at plastic cap badges, made during the Second World War as an economy measure. However these were not the only badges remade in plastic; metal was a strategic resource and if a badge could be moulded out of plastic then it saved brass or steel for more important duties. 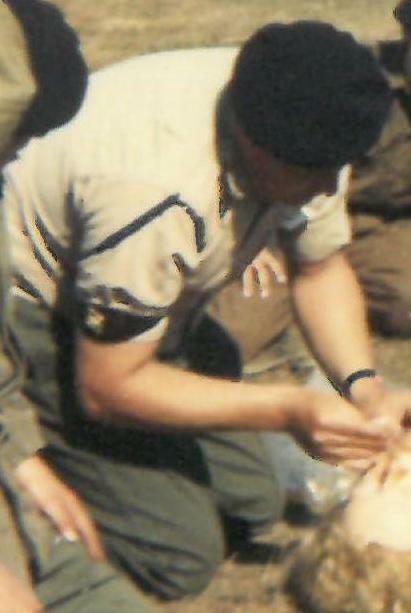 As well as military cap badges many civilian and Civil Defence badges were produced in plastic as well as badges for various youth organisations such as the cadets. It is a lapel badge for the Air Cadet Corps we are looking at tonight: This badge was worn on the lapel of a suit when the owner was out of uniform, allowing a discrete way of showing his role within the service and allowing other members of the cadet force to easily identify him as a member. It might seem strange today, but in the Second World War normal attire for teenagers was the same as for adults; shirt tie and jacket. As such they all had a lapel with a suitable button hole to attach the badge to. The rear of the badge has a straight post and a round top to it to allow it to fasten securely through a lapel: Small lettering on the back of the badge indicates it was made by Stanley’s of Walsall: This firm were a large manufacturer of badges and produced massive quantities for the armed forces. 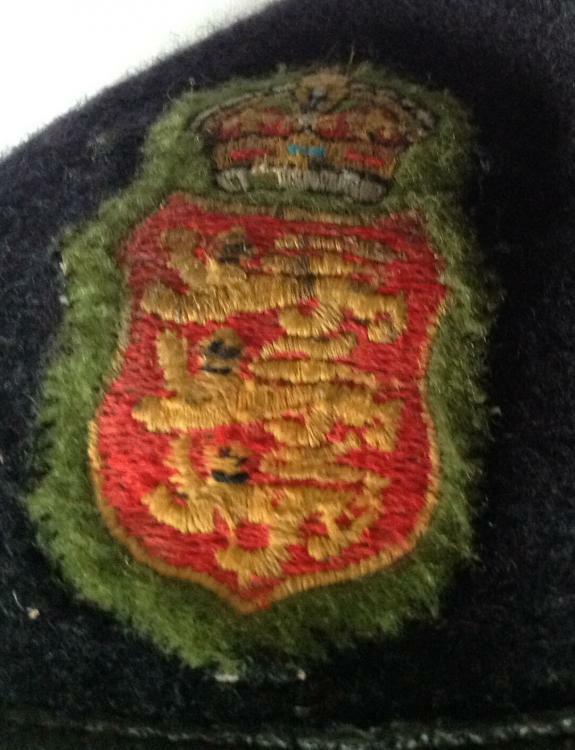 The badge itself is not made from Bakelite, but rather a form of cellulose. 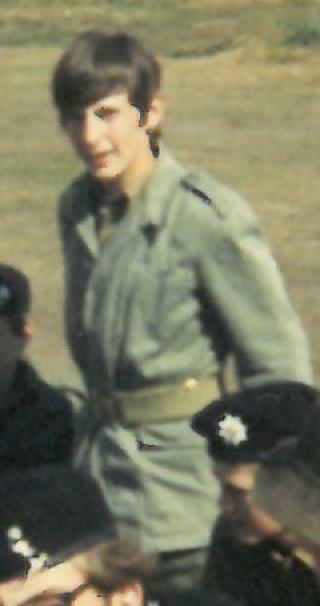 A larger circular cap badge was also produced in plastic for the Air Training Corps. From early 1940 I was going to the A.T.C. every evening and at weekends. We were shown how to recognise aircraft from all angles by black silhouettes – plus we did the normal square-bashing, of course. We used to be taught how to set a course allowing for wind speed and variation etc. and I was pretty good at all this sort of thing. Of course, nights in the winter especially were pitch dark and I remember two occasions in the black out. The first happened as I was riding my bicycle home when suddenly I flew through the air. For some reason a manhole cover in the road had been left off and my front wheel had gone into it. 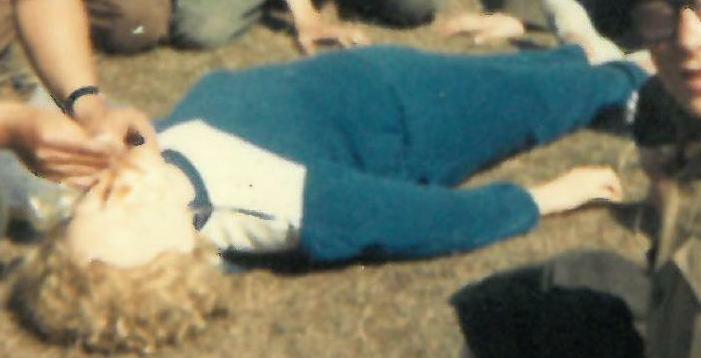 Luckily, being young, I was not badly hurt but my bicycle was a complete wreck. We used to have very bad smogs caused by all the coal fires, virtually the only kind of heating in houses. Added to the black out these smogs made it impossible to see even a yard ahead of you. On this one evening a group of us were going to A.T.C. training at a different venue than our usual place. We got completely lost, when a man bumped into us with his bicycle and said he lived in the road where we were going. He said if one of us held onto his bicycle and the rest joined in a line behind, he would walk there with us. We did this for a little way but then came to a dead stop as he had walked off the street into an air raid shelter. After this we groped about most of the evening and to this day I cannot remember whether we arrived. 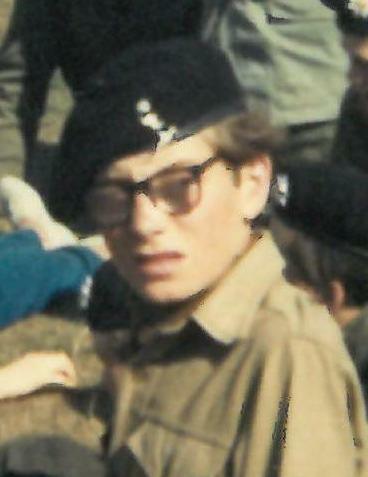 Early in 1944 I went with other of the A.T.C. to a test centre in London. I cannot recall where it was but we were given medicals and things I remember we had to do was to blow into a tube that raised mercury to a certain level and hold it there for one minute; also a Japanese book which had numbers in it made up of all different colours. We were asked what numbers we saw when the pages were turned over. Then we were interviewed separately and asked questions, most of which I thought were crazy, by three R.A.F. officers. The only one I can remember was how a combustion engine works, which I knew. I would have been coming up to 18 at this time. Some months later we were taken in R.A.F. trucks to airfields; we were not told where. I remember one we were taken to. There was a very large building with a ballroom-type floor, at one end of which was a dais with a seat and an aircraft joystick, in front of which was a flat board which you could lie on, with a bomber’s teat by the side. A map of Germany was projected on the whole of the floor which moved as if you were flying over it, both pilot and bomb-aimer were about 20’ above. Whoever was pilot was given a target on the map and as the map moved and you approached the target to get into the right position the bomb-aimer would give directions left or right of it until he thought you were in the right position. Then he would press the bomb teat and release the bombs. This was not as easy as it seems as you had to allow a time lag for bombs to drop. A bright spotlight would then show where your bombs had landed and the map would stop. This entry was posted in Badge, Insignia, OTC and Cadets, Royal Air Force, Uncategorized, WW2 on June 7, 2017 by hatchfive. 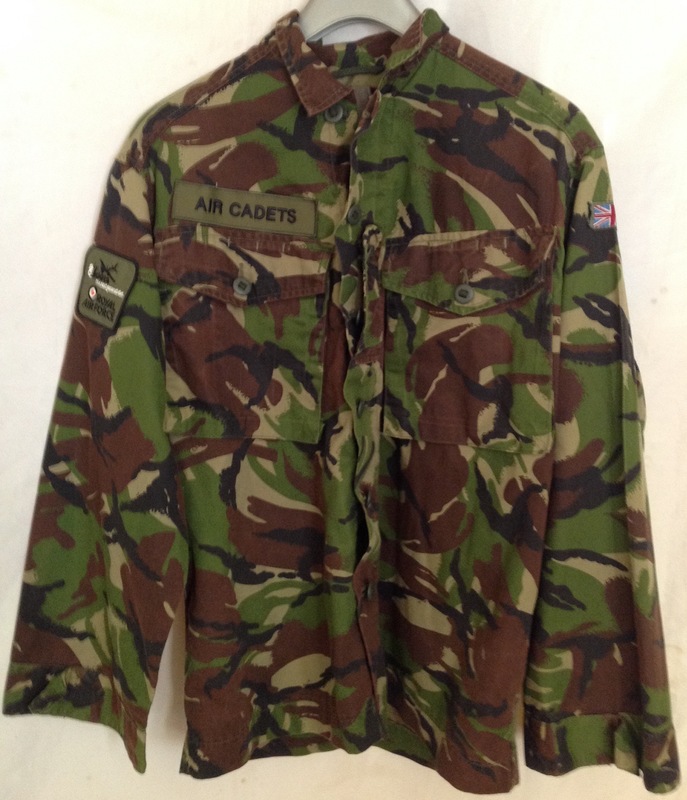 That’s the kit I was given in 1975 or so, only to have it taken away almost instantly and replaced with DPM trousers – cadet pattern – and proper woolly pullies… If you wanted a smock, hard luck. There was a horrible pullover anorak thing, or of you were lucky, you got a Jacket, Overalls, OG. Cadet photographs are pretty rare, so this informal personal snap is a very nice find, especially as it illustrates the variety of the uniform worn in this period. This entry was posted in British Army, OTC and Cadets, Photograph, Post WW2 on June 4, 2017 by hatchfive. 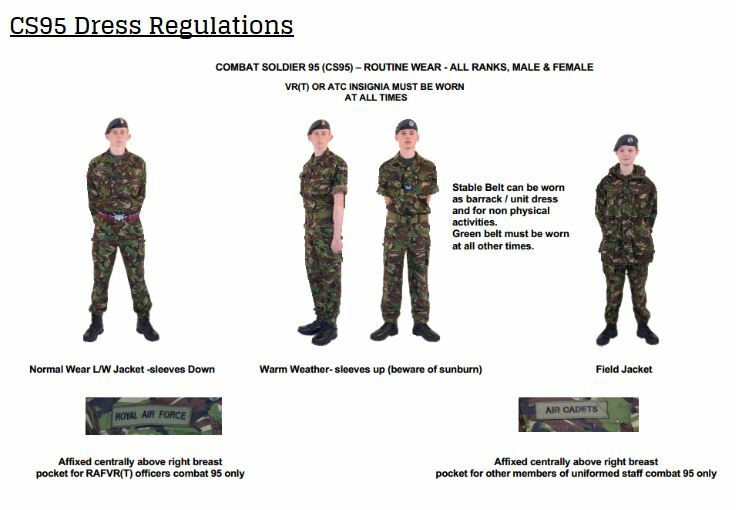 This entry was posted in OTC and Cadets, Post WW2, Royal Air Force, Uniform on April 20, 2017 by hatchfive. The Victoria College Contingent was formed as an Officer Training Corps in 1903 and in 1948 became the Victoria College CCF Contingent. In 1951 the Royal Air Force section was formed and in 1976 the Royal Navy section. The Contingent parades on a Friday afternoon at 1400hrs for Senior Cadets and 1530hr for Year 10 and 11 Cadets. 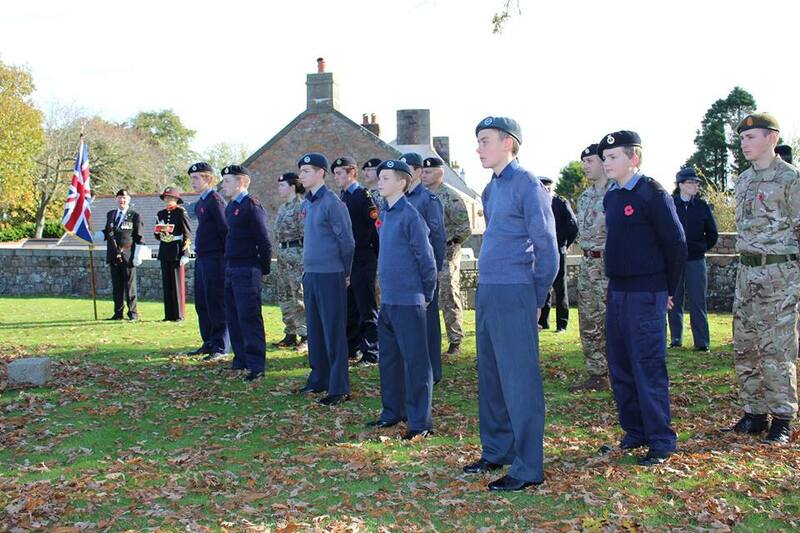 Wing Commander D J Rotherham the Contingent Commander leads a Contingent of 150 cadets and 15 officers and staff. Cadets regularly attend camps at military establishments across the UK including adventure training, cadet skills competitions and courses. On Island training includes sailing, rock climbing, archery and live firing at the Crabbe Range Facility. The Contingent performs several ceremonial duties including the mounting of the Halberdier Guard. The Contingent Headquarters (Sir Michael Alcock Centre) is situated behind the Pavilion on College Field it includes the CCF office, classroom, meeting room, 25 yard indoor range, purpose built armoury, clothing, training and equipment stores. The Victoria College Contingent has a long and proud history dating back to 1883 with the formation of the Cadet Militia Corps. The Contingent’s history is one of service, opportunity and sacrifice. Since 1883 Old Victorians have served and died in the conflicts of the late 19th and 20th centuries earning a total of five Victoria Crosses. These sacrifices have not been forgotten in fact quite the opposite is true. It is almost impossible to find a corner of the College where there is not a memorial plaque, trophy or indeed building to remember these Old Victorians. Cadets no longer train for war but continue to serve the community through ceremonial duties and services to charities and the community. The wearing of the College Cap Badge and the various uniforms is a living tribute to both those Old Victorians and all those serving in the British Armed Forces. For this reason alone it is important that Cadets understand the history of the Contingent and in particular the service and sacrifice of Old Victorians over the past 131 years. 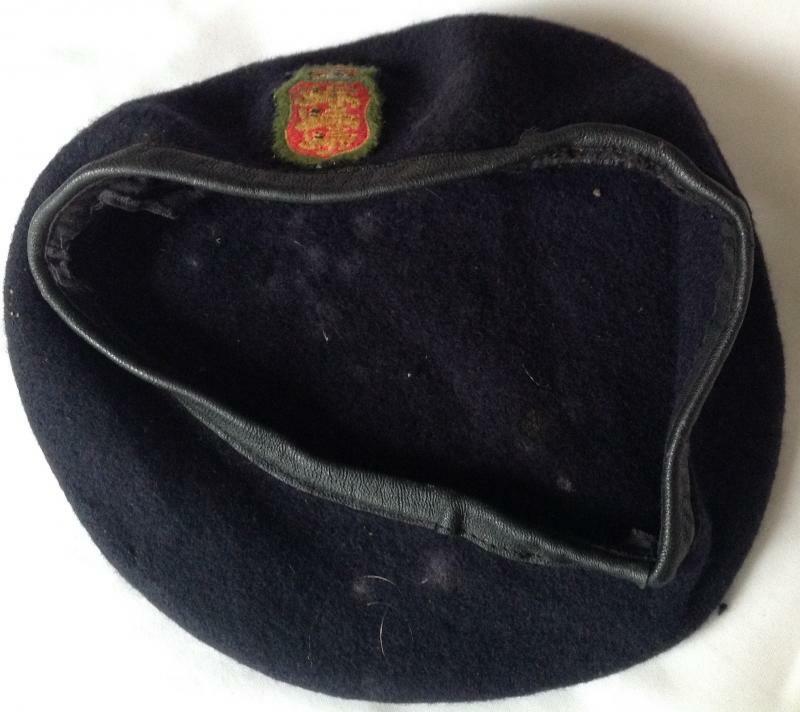 This particular beret dates from before 2000 as on that date the Army contingent adopted the khaki beret of its associated unit The Princess of Wales Royal Regiment and the blue beret used up until that point was dropped. This entry was posted in British Army, OTC and Cadets, Post WW2 on April 6, 2016 by hatchfive.